Salem…the name itself conjures a wicked aura. For six months in 1692, the quaint village was the scene of the Witch Trials, a pretty terrifying cycle of fear-mongering and finger-pointing that had fatal consequences. When it was over, 27 people had died: 19 were hung, seven died languishing in jail, and one elderly man had stones stacked on his chest until the pressure killed him. They all maintained their innocence until the end, and they were pardoned the following year—but the damage was clearly done. The fascination surrounding Salem’s Witch Trials has run unabated for the past 300 years. These days, the city’s eagerness to capitalize on its one infamous moment borders on distasteful. At the Witch Village, you pay $9 to explore “Frankenstein’s Castle,” or try the $15 “Hysteria Pass,” which gets you into an indoor maze AND the Wax Museum next door. For free, you can take a selfie with Samantha from Bewitched—or her statue, at least. It should come as a surprise to exactly nobody I skipped all that (alright, I admit I took a picture of Samantha—I’m not made of stone, you guys). 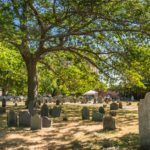 There is so much more to Salem—almost four centuries of fascinating maritime history, some stunning cemeteries, and a fun, welcoming, quirky local population. The Salem Witch Trials Memorial is a sobering reminder of the lives that were lost. Despite all that it has to offer, perhaps it’s best to start a visit to Salem by satisfying any natural witch-related curiosity. 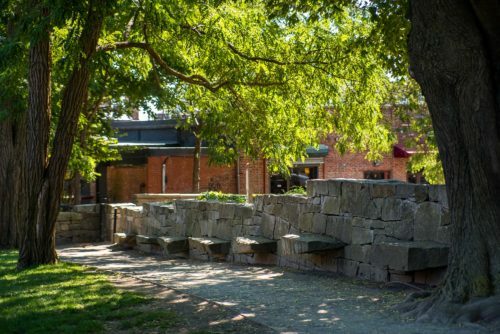 The Salem Witch Trials Memorial and adjoining Burying Point are an essential stop. Like I said, many of Salem’s witch-related attractions are tacky; that’s not the case at the memorial, dedicated in 1992 by Nobel Laureate Elie Wiesel (author of the amazing book Night, which I highly, highly recommend). It’s not hard to feel a chill sliding down your spine as you read the names of each victim, and the method and date of their execution. At the entrance, quotes from their testimony are etched into the ground–it’s sobering, to say the least. 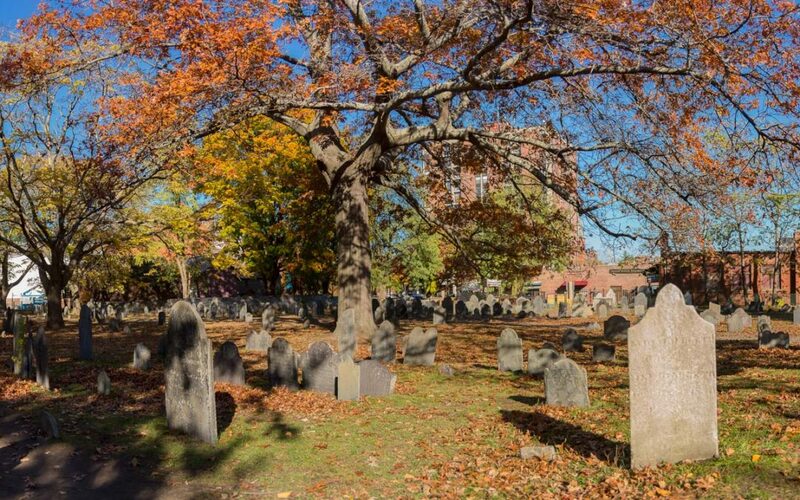 Judge Hawthorne and other notables from the Salem Witch Trials are buried here. 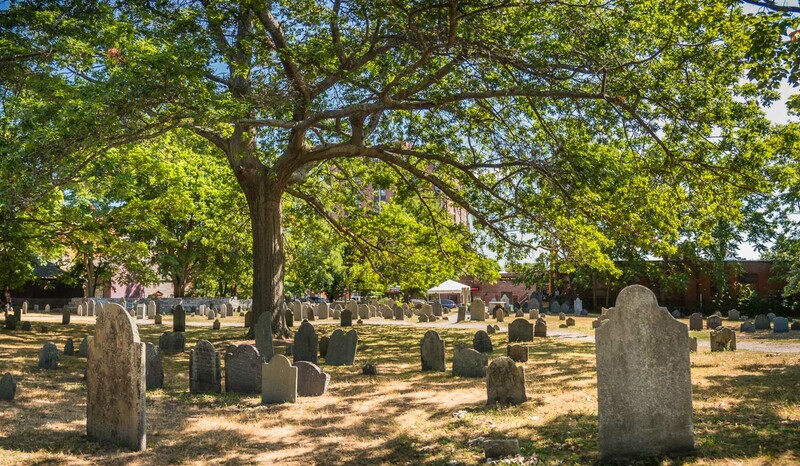 Salem’s oldest burying ground is on the other side of the memorial wall, and you’ll find the grave of the Witch Trials judge, John Hathorne (great-great-grandfather to Nathaniel Hawthorne, author of The Scarlet Letter! What a fun family, like the Kardashians of the olden days). If you want a hipstery Salem souvenir, Hauswitch is another essential stop. It is basically the local, mystical version of Urban Outfitters’ home department—you can buy healing crystals, tarot cards, tinctures and potions, and some pretty awesome girl-power stuff like this Smash the Patriarchy necklace. After your shopping, it’s only natural to stop a couple doors down for lunch at the Gulu Gulu cafe, a very cozy coffeehouse inspired by a Prague cafe of the same name. Everything I’ve eaten here is good, and the coffee is wonderful. A tempting spot to settle down with a nice book! Just a couple blocks away is one of my favorite spots in Salem, one that seems to have been left off the touristy top-ten lists (a blessing). The stately Ropes Mansion was built in 1727 and to this day is furnished with original decor—but what I love about this place is out back. 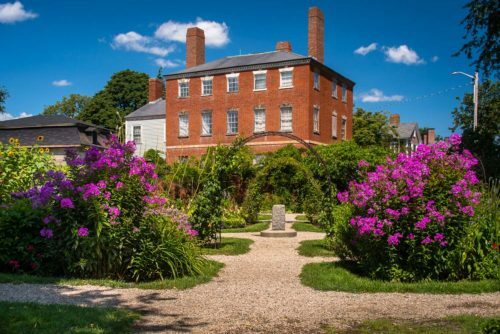 The mansion garden is absolutely stunning, with arbors arching overhead and brick paths threading past vibrant flower beds, a sundial, and a tiny pond. Admission to the mansion and the garden is completely free. You can’t beat a blue-sky day on the Salem waterfront. 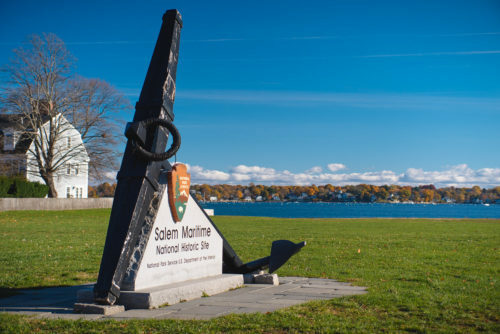 I’ve been to Salem four times, and every time I strolled down to the Maritime National Historic Site. For hundreds of years, exotic goods from around the world passed from seafaring ships onto these wharves and into the United States. 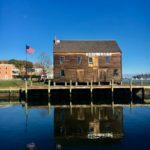 It’s hard to imagine today, because the long wharves are quiet, with only one ship (a replica of the 18th century Friendship), a customs house, and an old warehouse remaining. But the peaceful waterfront is a nice counterpoint to Salem’s touristy town center, and there are plenty of helpful information plaques to stir the imagination. A peaceful spot now, this wharf was a hive of activity in the 18th and 19th centuries. If you need refreshing (again), Salem’s own Notch Brewing has a taproom a short walk from the wharves, where they serve extremely generous pours in a warehouse and waterfront garden. Nearby Jaho Coffee & Tea is also a nice stop. 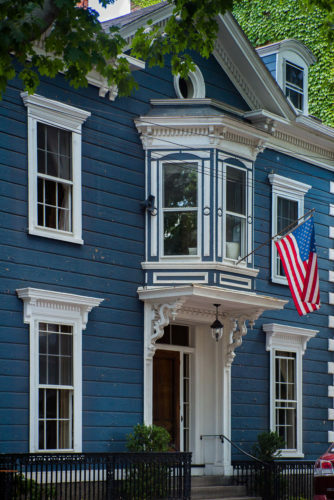 Salem is winning the charming historic homes game. 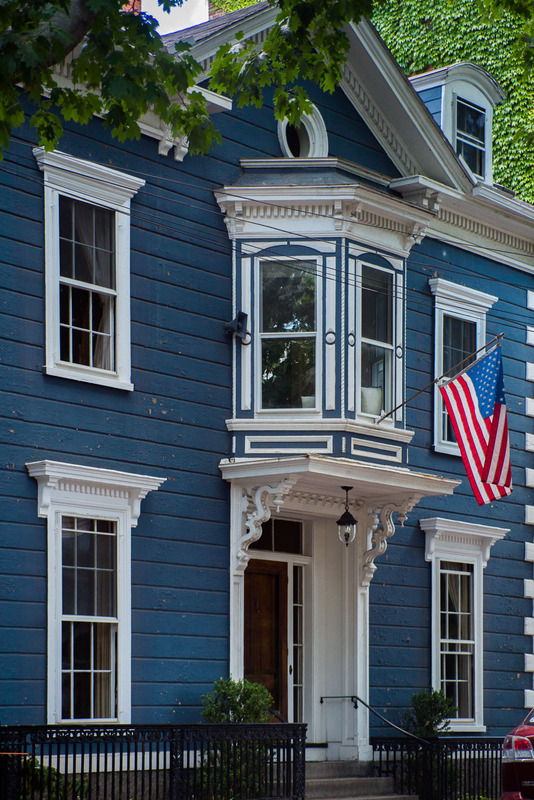 I love looking at old houses, so I was pretty thrilled to walk down Chestnut Street, sometimes described as “the most beautiful street in the USA.” Ben will tell you, I’m not ashamed of staring longingly into people’s windows, just to see what the inside of their house looks like, and I did a lot of that on Chestnut Street. The houses are just too pretty. And if you walk down to the end, you’re only a few short blocks from one of my favorite places in Salem, Far From the Tree Craft Cider. I love hard cider, LOVE IT, and FFTT has amazing flavors on rotation, including some great dry ciders that I can’t get enough of. 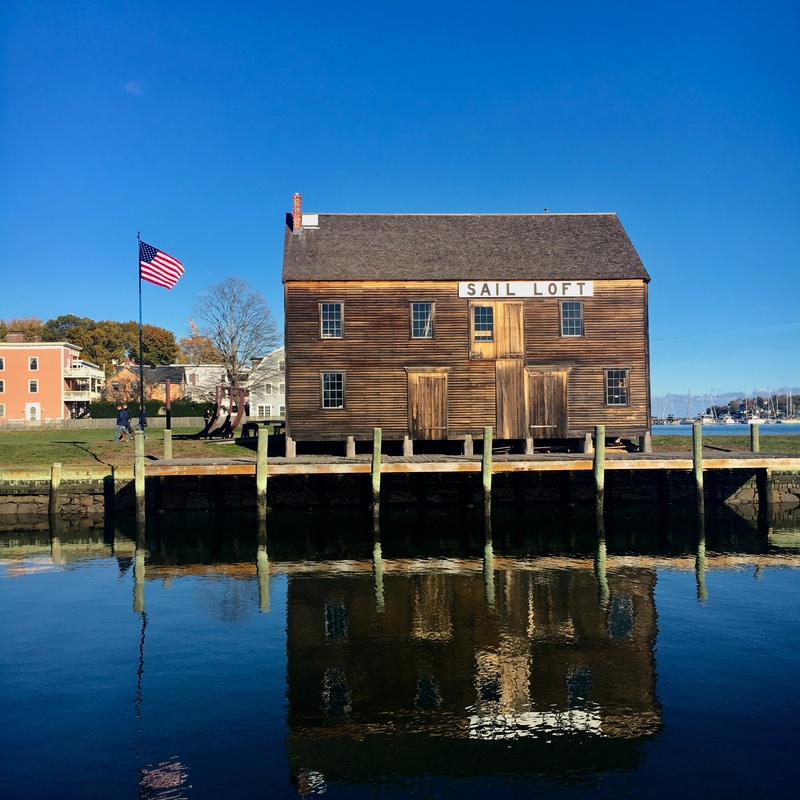 There is so much to see in Salem; but thanks to its compact town center, it’s easy to accomplish during a day trip if you’re in the Boston area. It’s so charming, though, that you may just find yourself wanting to stay a little longer.